A wedding is supposed to be the happiest day in a person’s life. Instead, it ends up being one of the most stressful days you can ever experience, full of lofty expectations and infinite problems. Planning a wedding takes months, sometimes years, depending on who is getting married, and you still can’t have everything going according to plan. There are just too many elements involved in the equation to have a perfect day. 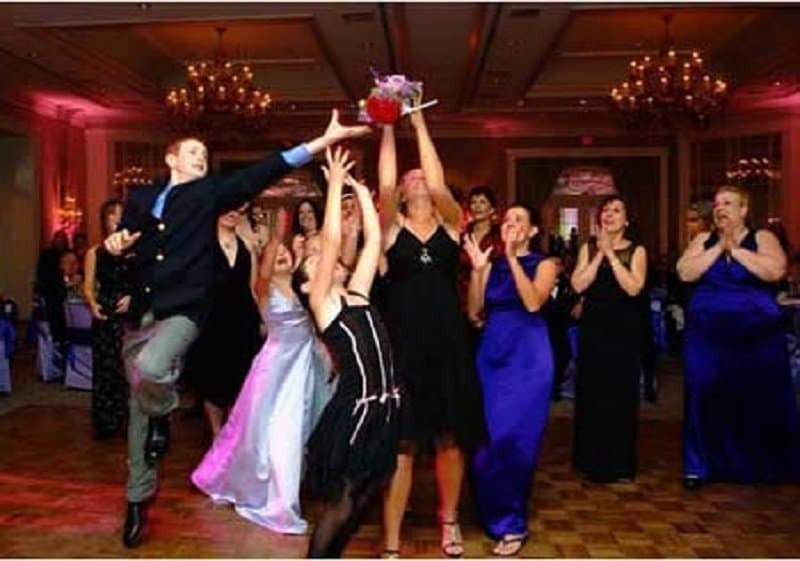 No one gets a better look at the screw-ups at a wedding than the wedding photographer. He/she finally ends ups removing a lot of pictures just so that the day will look better in the album and you can recall it with even more fondness. Here is a list of 10 pictures from weddings that probably didn’t make the final wedding album. This lady clearly can’t wait for the wedding to be done with and for the real festivities to begin. 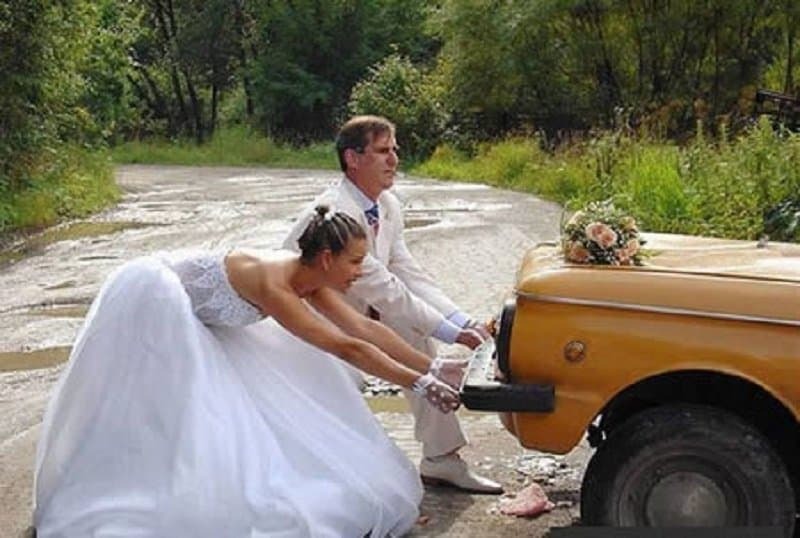 You can never escape car problems, not even on your wedding day. 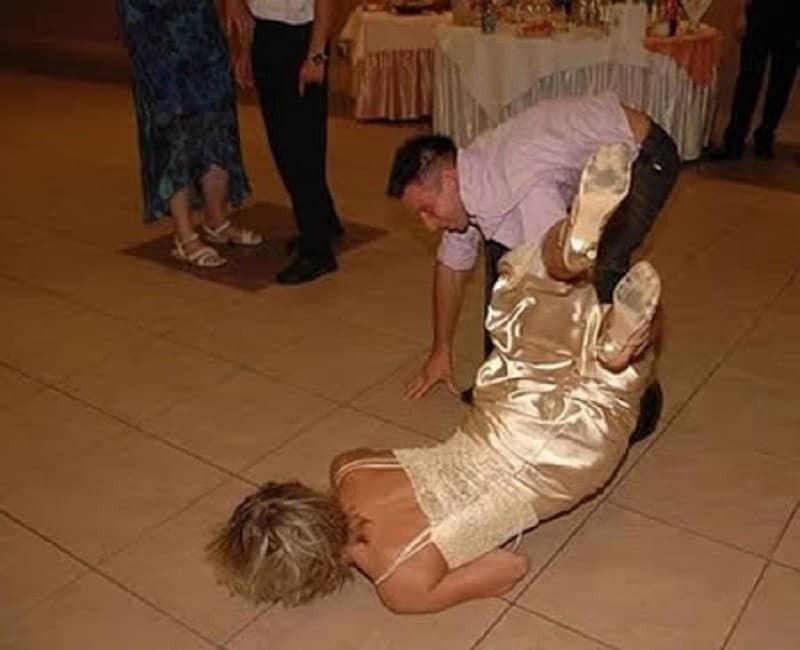 This is why it is a bad idea to have a long flowing wedding gown. Someone is bound to step on it and create a priceless memory in the process. This guy is clearly more excited about getting married than all the women in the wedding. Good on you buddy! Nearly half of all marriages end in divorce. This picture should be the official photograph to accompany that statistic for the rest of time. It is hard being a bridesmaid at the wedding. You have so much work on your hands and even the smallest screw-up is bound to be immortalized thanks to the wedding photographer. Weddings can be extremely time consuming, not to mention exhausting. 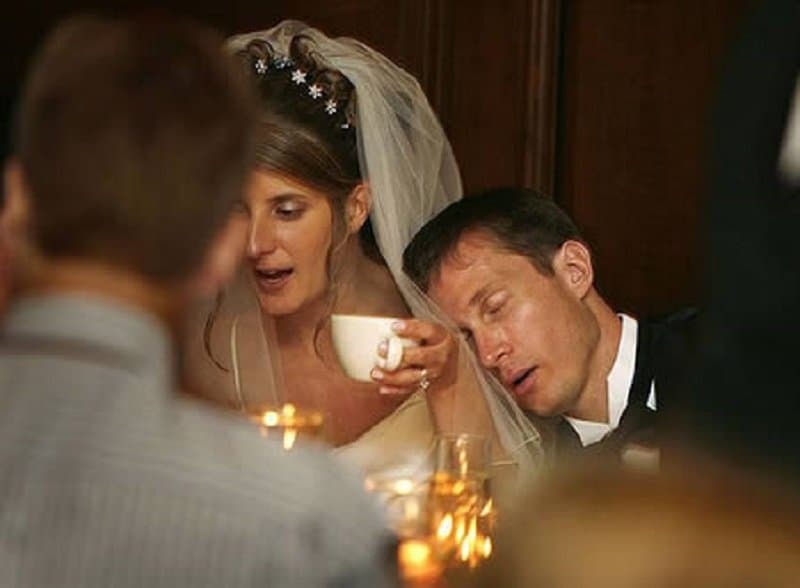 This groom clearly didn’t get enough sleep the night before the big day. The problem with wearing a long, elaborate, complex wedding dress is that sometimes your body takes calls that you are just not ready for. It is always good to have a friend handy in this scenario. Also, what kind of a psycho actually takes a picture of this moment! 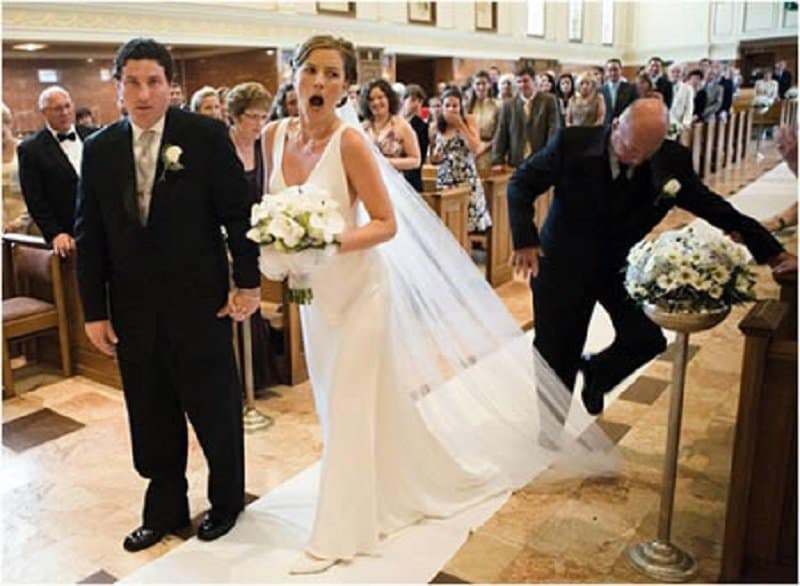 This has got to be the most horrible thing that can happen to you during your wedding day. Luckily the photographer was in just the right spot to capture the moment. The bride is expected to look like a doll on her wedding day. Nothing says doll like a glass of wine and a quick arm-pit shave before the wedding begins.